Is Canadian Sugar Consumption Too High? - Click to Find Out! We all know that sugar consumption leads to oral health problems such as tooth decay and cavities—but do we really know how well Canadians are doing in terms of our sugar consumption? The Institute of Medicine recommends that 25% of your overall caloric intake should come from sugars and the World Health Organization recommends that 10% of your overall caloric intake should come from sugars. 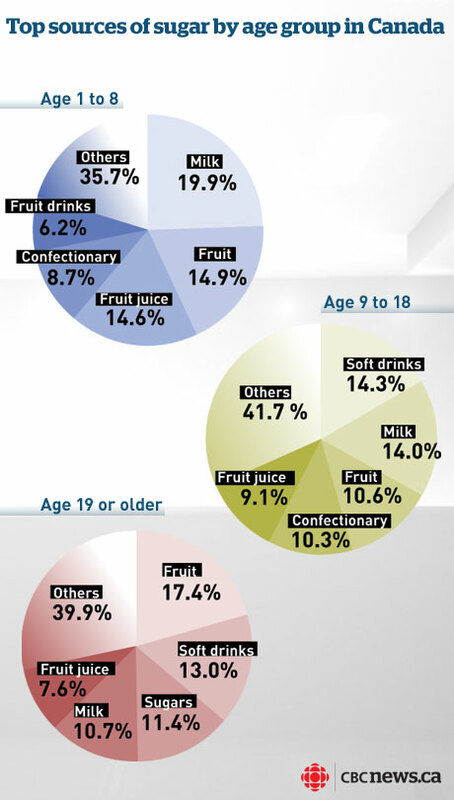 The problem with these percentages is the definition of what sugar really is. Sugar consumption doesn’t necessary come from just sweets; it can come from other foods such as granola, yogurt, milk or fruit. Therefore, every institution and person has their own way of defining what sugar really is. Therefore, there is no method of stating from this study whether our consumption is adequate, but the study does recommend that Canadians reduce the amount of sugar consumed and choose healthy and nutritious foods compared to those that are high in sugar. A food choice that may be high in sugar may in low in other nutrients. High levels of sugar consumption also put people at risk of tooth decay and cavities. To avoid unnecessary oral health problems, 123Dentist.com recommends that you check the nutritional label on your food to make sure that it doesn’t contain a lot of sugar. We also recommend cutting back on foods such as soda and desserts, to make room for more nutritious food. If you have any questions about your sugar consumption, visit a 123Dentist office today! A dentist would be happy to assess your teeth and let you know if your sugar consumption is adequate.